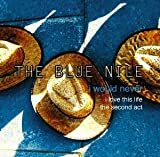 The Blue Nile were a musical group from Glasgow, Scotland. The group's early music was built heavily on synthesizers and electronic instrumentation and percussion, although later works featured guitar more prominently. Following early championing by established artists such as Rickie Lee Jones and Peter Gabriel (both of whom the band later worked with), the Blue Nile gained critical acclaim, particularly for their first two albums A Walk Across the Rooftops and Hats, and some commercial success in both the UK and the US, which led to the band working with a wide range of musicians from the late 1980s onwards. The band members have also gained a reputation for their avoidance of publicity, their idiosyncratic dealings with the recording industry, and their perfectionism and slow work rate which has resulted in the release of just four albums since the group's formation in 1981. The group appears to have disbanded since the release of their fourth album High in 2004, although there has never been any official confirmation that this is fact.